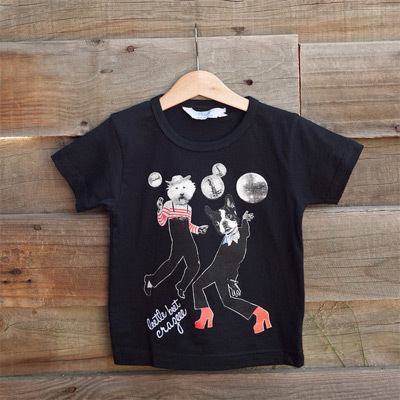 I love discovering a good kids fashion label. It's nice to receive email introductions and press releases, but it's even nicer to discover a label that a little one is wearing while out and about, or from a good friend, and especially via Twitter. I'm always curious to find out more about my new followers, and when I click through to their website and feel the connection, it's like striking gold. That's how I felt tonight when I came upon Gary and Emma from Miinot, and their cool line of t-shirts for kids. 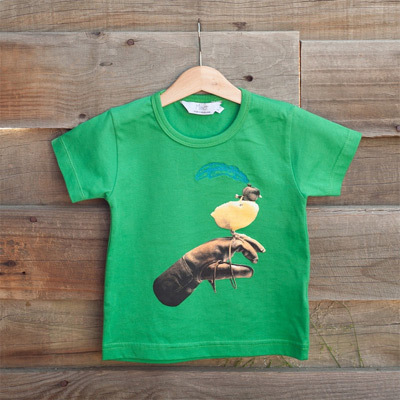 They aim to create "considered" clothing for little ones, and I'm all for it when there these fun unisex designs up for grabs. The Miinot t-shirts are designed and made in Melbourne (yay! ), printed by hand and embellished with embroidery details - no mass production here. I'm crazy for the Leetle Bit Crazee tee and those disco dogs. You can find Miinot in the online store as well as stockists in Victoria. 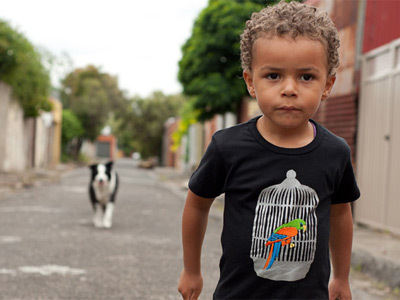 Check out more Australian-designed kids clothes here on Bondville. I L O V E these t's. I bought the birdcage one in green for my little man. He loves it too. 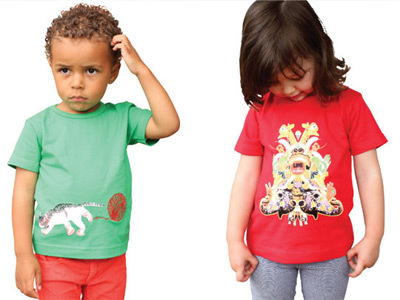 Great to see some good quality clothing for kids out there!!! Hi Anon - great taste! That birdcage tee is so cool - love the embroidery. aghh I'm in love with these, so super cute! A breath of fresh air for childrens clothing. Fabulous!